Photos of dams of bull calves that will be sold for breeding have just been posted to this website at the Bulls for Sale page. 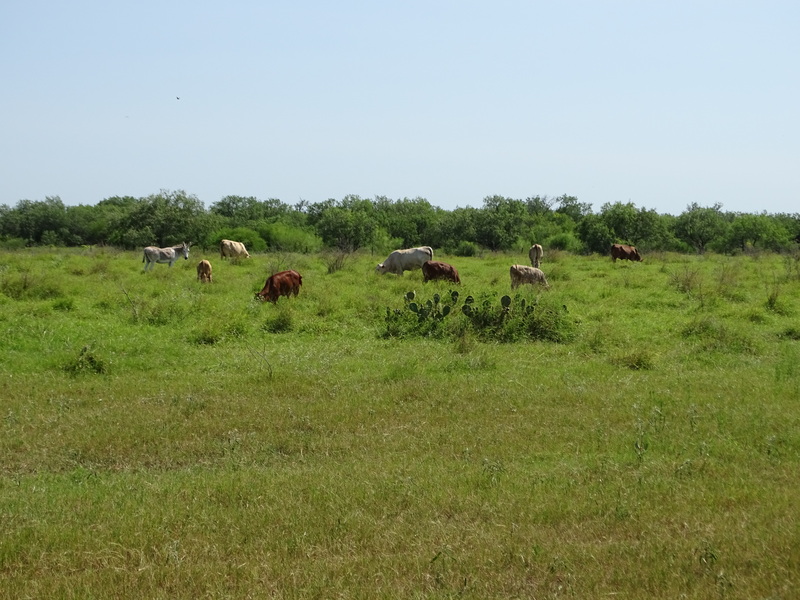 Photo taken at about 4:00 at a temperature between 104 and 105 degrees of Star cattle grazing. While doing a deeper literature search on the Tuli breed, I came across a video: Cattle Out of Africa (1990). It is very well done and includes interviews with the Australian scientists who collected the embryos in Zimbabwe and later produced Tulis in Australia, which were later compared to the performances of other breeds. 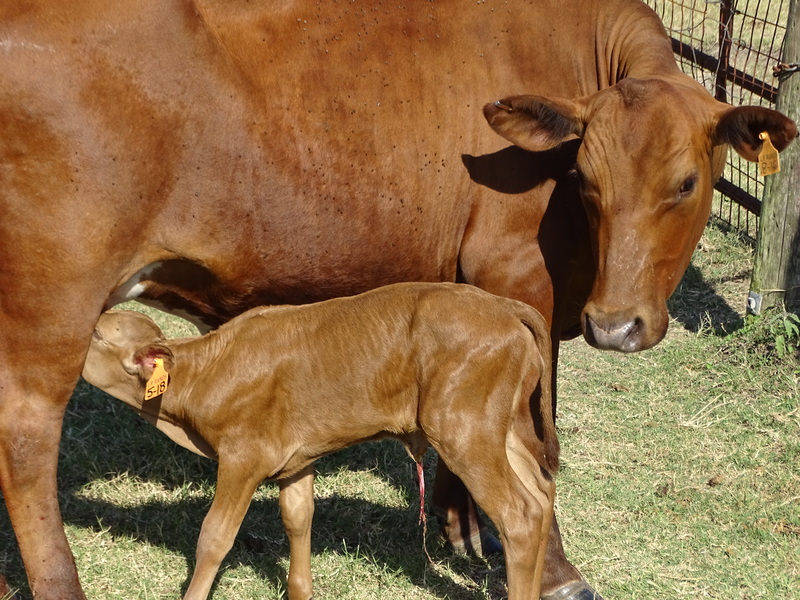 Today the Tuli breed is credited for making a major impact on the Australian beef industry through its use in developing new composite breeds that are more heat and disease resistant. Here is the video link:https://www.youtube.com/watch?v=KKy0M0axO1I&feature=youtu.be. I have also added this link at the Purebred Reference Sires page in the Tuli breed section. For 2018 the overall cow and heifer pregnancy rate was 95.1%. Over 90% of the cows conceived in their first heat cycle, despite the brutally high temperature and humidity levels during the breeding season (mid-July through August). Cows at Lukefahr Ranch are not pampered; if they do not adapt they are culled. In 2017 the average feed cost per cow was $4.04. No hay was fed during the winter. 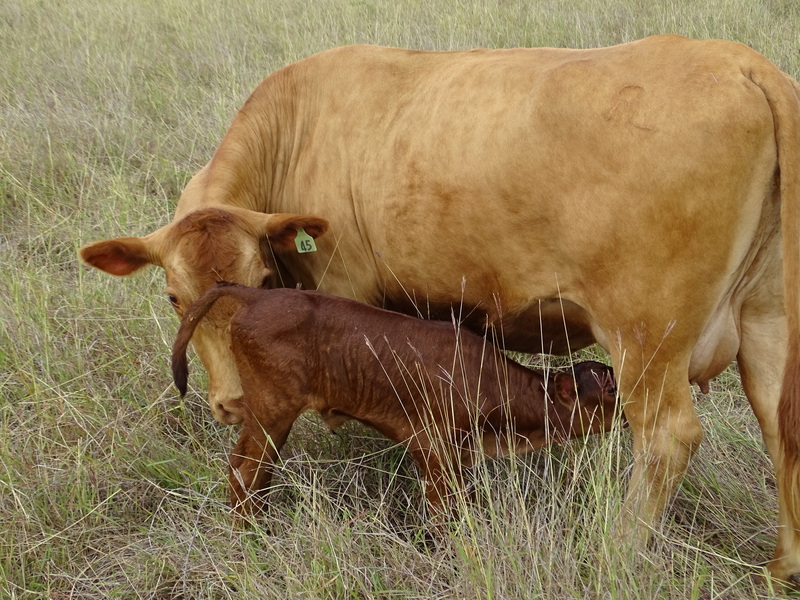 The photo features a Star cow with her Mashona-sired heifer calf. This past Sunday, I observed a Star heifer birth her calf. She was bred to a Star bull. I kept track of the time from when she first broke her water until the calf was nursing. This whole process took less than 30 minutes. In fact, she laid down only once and contracted a few times. The calf weighed 57 pounds. It was up and nursing in no time. Of course, big calves at birth are usually sore and are less thrifty at birth. 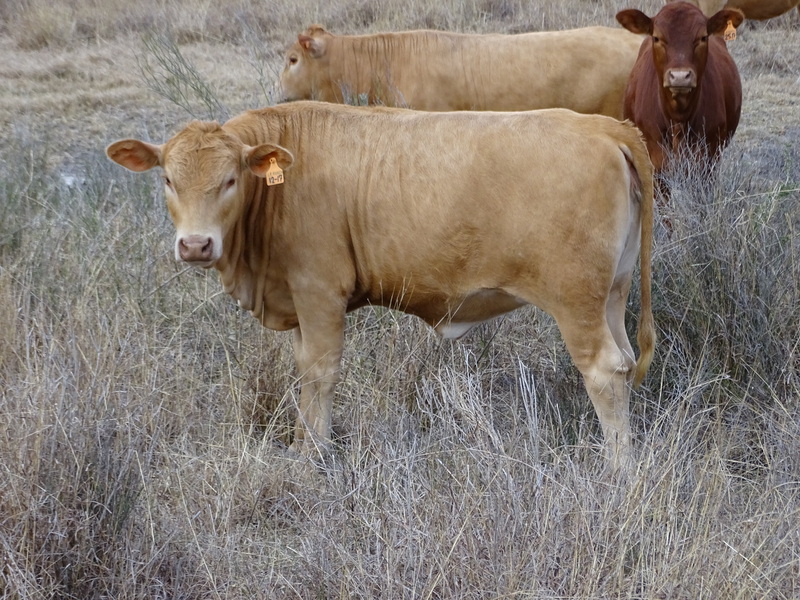 One yearling bull is for sale (#23). He weighed 55 pounds at birth and has a -5.3 birth weight EPD, ranking the highest of all bull calves born last year. He is featured at the Bulls for Sale page. A new update message has been posted about the feeding of limited protein supplements during the winter season. The message is posted in the Ranch Management area of my website. On January 16, 2018, the feature article in Beef and Beef Producer magazines was about Lukefahr Ranch (http://www.beefproducer.com/management/another-study-says-smaller-cows-more-profitable). Actually it was one of a two-part series. 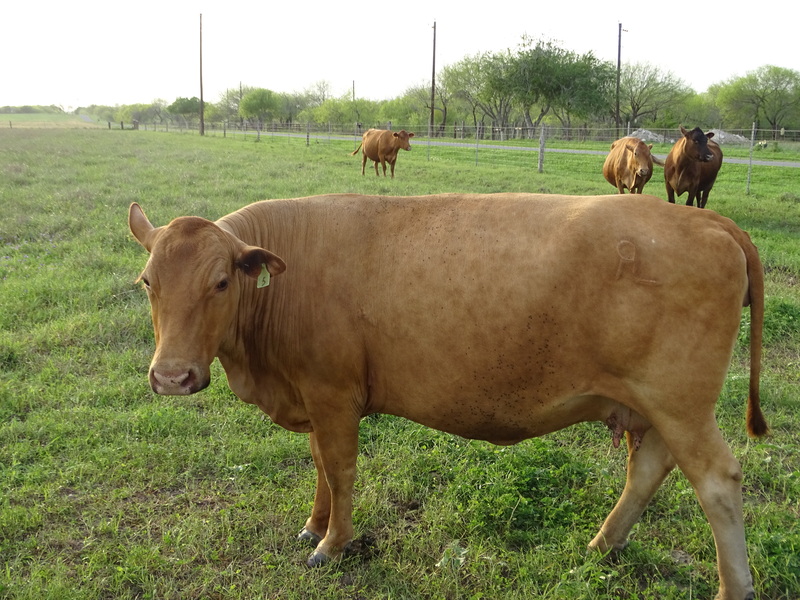 This part I article describes a model simulation on cow and land efficiency. My simulation dealt with figures on cow size (1100, 1200, 1300, and 1400 lbs) and total annual costs per cow ($300, $600 or $900) – ultimately relating to the bottom line in terms of profit per acre. After sending this information to Alan Newport last summer, he requested my permission to summarize this information into an article for these magazines. 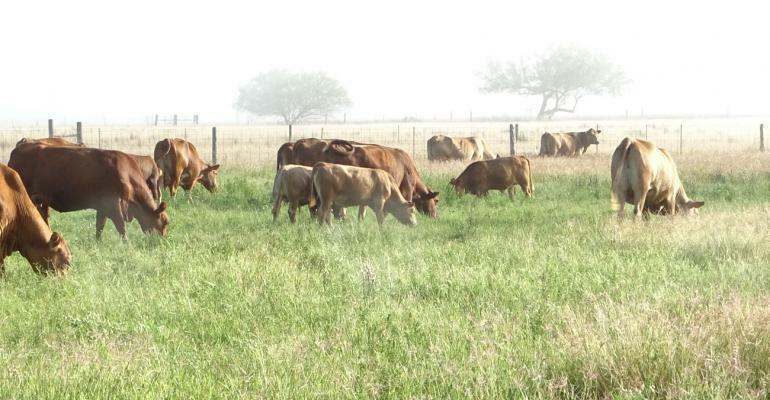 The part II article will describe breeding management practices on Lukefahr Ranch.